Improving a business’ online rankings in a noticeable is no small, simple thing. Not only do search ranking algorithms change and become more complex on a regular basis, but online competition is enormous given that it is now basically essential for businesses to have online presences in order to generate any substantial leads. While there may be a few very small brick-and-mortar stores with no website, overall, even mom-and-pop businesses invest a little of their advertising budget in a simple site. So, what do you do when you need links, to drive traffic, and improve rankings? The ethical nature and complexity of SEO strategies depend upon the people engaging in them. 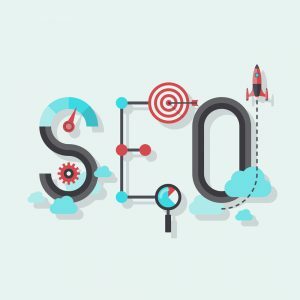 However, there are some relatively simple steps that anyone can take to improve their search rankings. Here are three of them. While more companies are investing in online content—enough to create jobs for freelancers and companies whose sole purpose is to generate content for businesses—it is still an undervalued element of lead generation. When you produce more online content, your information immediately becomes more searchable; your content, as well as your site, appears in searches. Of course, not just any content will do. It must be relevant so that it draws the right sort of attention, it must contain the right keywords so that it turns up in searches, and it must have reliable, pertinent links. In the same vein, guest blogging can be a worthwhile use of content. While there are some negative views of guest blogging, there is still significant potential in the practice, and not merely for acquiring links. As long as the posts are consistently well-written and engaging, you drive your authoritative voice, get more social media shares, and many other things that Google likes to see. Overall, this means greater potential for quality traffic and links. As useful as content continues to be, visuals sometimes make an even greater impact. Much of the world runs on media platforms with information expressed through videos, clips, gifs, and infographics. While you don’t want to replace content with these things entirely, a combination of the two can be a powerful thing. From embedding relevant and personalized images into your written articles, to creating infographics that express ideas in concise, thorough, and visually-interesting ways, to creating engaging videos on pertinent topics, all of these are great ways to drive traffic. If someone else wants to share your photos, infographics, or videos, you can then request a link back to your site. You can bundle the URL link to your size within the embed code to make it easy for the item to be linked back to your site. So, not only do media and infographics drive more traffic directly, they do so indirectly, too. Truly useful information is an essential piece of better rankings. However, that useful information does not have to be technical, or clinical, or impersonal. In fact, there are many ways in which getting personal in content and on your site can be a great benefit. The personal touch allows your company to connect with consumers, clients, etc. Sometimes, readers would like to know what employees think and enjoy, personally. These topics, ideas, or recommendations should be made in a conversational style. Being open to questions and comments is a great way to engage, too. You can implement the personal approach in many ways—a blog from team members once per month, an article from the CEO, newsworthy events and posts, etc.—and personalize it for your team. If you’re ready to invest in SEO and improve your Google rankings, contact us today.